Despite their often solitary work, there are plenty of reasons why writers are apt to have brushes with fate: a predilection for danger, friendships with unsavory characters, serendipitous budget concerns. The American novelist Theodore Dreiser (pictured above) was talked out of a ticket aboard the Titanic by a publisher who convinced him to take a less expensive fare. Without such luck, we would still have had Dreiser’s classic novel Sister Carrie (1900), but probably not its follow up: An American Tragedy. Although afflicted by lifelong seizures, Dostoevsky’s closest brush was death came about as a result of his early association with liberal radicals, with whom he shared his writing and discussed politics. Arrested at the age of 28 during a raid and given the “silent treatment” in prison for eight months (the guards even wore velvet-soled boots), he was sentenced to death. In rows of three, Dostoevsky was lined up with the other prisoners and marched towards the execution grounds. Just before the fatal order was given, an official arrived waving a white flag — the Tsar had decided to stay their execution. Instead, Dostoevsky would serve four years of hard labor in Siberia, followed by an obligatory stint in the Russian Army. He said that those five minutes seemed to him to be a most interminable period, an enormous wealth of time; he seemed to be living, in these minutes, so many lives that there was no need as yet to think of that last moment, so that he made several arrangements, dividing up the time into portions — one for saying farewell to his companions, two minutes for that; then a couple more for thinking over his own life and career and all about himself; and another minute for a last look around…. The repugnance to what must ensue almost immediately, and the uncertainty, were dreadful, he said; but worst of all was the idea, “What should I do if I were not to die now? What if I were to return to life again? What an eternity of days, and all mine! How I should grudge and count up every minute of it, so as to waste not a single instant”' He said that this thought weighed so upon him and became such a terrible burden upon his brain that he could not bear it, and wished they would shoot him quickly and have done with it. Before being in a band or traveling cross country become a rite of passage, writers went to war. The Spanish Civil War became a rallying cause for the Lost Generation, as a ragtag group of drifters, artists and idealists banded together to fight Franco. 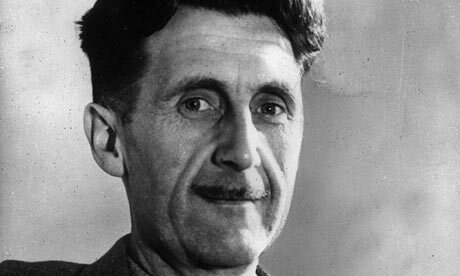 One of these characters was Orwell. As soon as I knew that the bullet had gone clean through my neck I took it for granted that I was done for. I had never heard of a man or an animal getting a bullet through the middle of the neck and surviving it. The blood was dribbling out of the corner of my mouth. “The artery's gone,” I thought. I wondered how long you last when your carotid artery is cut; not many minutes, presumably. Everything was very blurry. There must have been about two minutes during which I assumed that I was killed. And that too was interesting — I mean it is interesting to know what your thoughts would be at such a time. My first thought, conventionally enough, was for my wife. My second was a violent resentment at having to leave this world which, when all is said and done, suits me so well. I had time to feel this very vividly. The stupid mischance infuriated me. The meaninglessness of it! To be bumped off, not even in battle, but in this stale corner of the trenches, thanks to a moment's carelessness! I thought, too, of the man who had shot me — wondered what he was like, whether he was a Spaniard or a foreigner, whether he knew he had got me, and so forth. I could not feel any resentment against him. I reflected that as he was a Fascist I would have killed him if I could, but that if he had been taken prisoner and brought before me at this moment I would merely have congratulated him on his good shooting. It may be, though, that if you were really dying your thoughts would be quite different. Hemingway’s first real brush with death came while he was a teenager serving as an ambulance driver in Italy during the First World War. He became caught up in a mortar attack while at the front, during which two of the Italian soldiers standing near him were killed. Upon recovering consciousness, Hemingway, who had been badly injured, dragged another survivor to safety, for which he was awarded the Italian Croce de Guerra for valor. 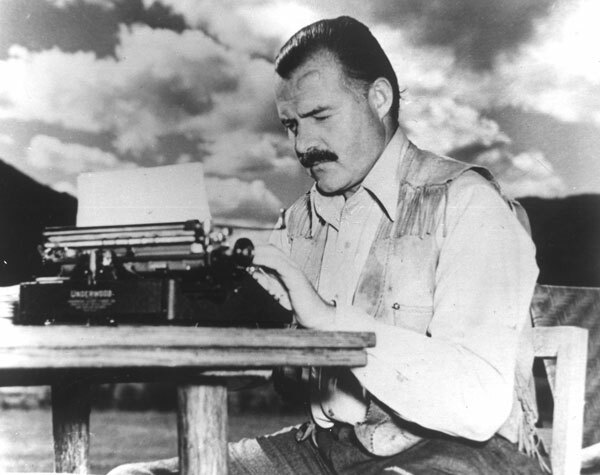 Hemingway reported that he did not remember any of it. 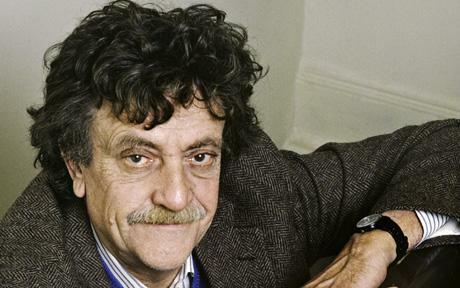 King is renowned for his prolific writing, for which he uses a uniquely regimented approach that he reveals in his memoir, On Writing. In particular, his rule of a bare minimum of 1,000 words per day is a point of reference for budding writers. In reality, King nearly gave up on On Writing. After coming to an impasse in the book’s completion, King went out for a walk near his rural Maine home to clear his head. A passing driver, distracted by his dog moving around, plowed into the unsuspecting writer. King flew into a ditch, where he suffered a collapsed lung, severe fractures to his leg that nearly required amputation and a broken hip. 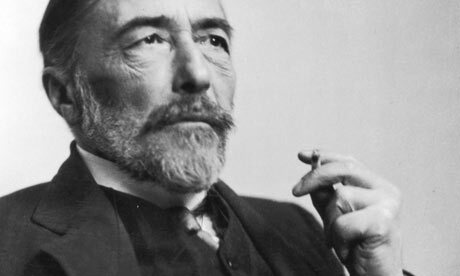 A Pole who came of age in France and made his writing career in England, Conrad tempted fate on many occasions. After four years of sailing on French ships, Conrad enlisted with the British Merchant Marine to avoid issues with the Imperial Russian Consul (Conrad’s father had been exiled for his dissident activities). In the years that followed, his service enabled him to crisscross the globe several times before such travel became common. And there was plenty of danger to be found on such trips: He was caught in a ship fire in Southeast Asia (inspiring his novella Youth) and suffered health problems that plagued him for the rest of his days while sailing up the Congo River in Africa (queue Heart of Darkness). But he almost never set sail for any of these epic adventures. At the precocious age of 20, Conrad shot himself in the chest with a revolver after a spectacularly unsuccessful night at a casino in Marseilles. Although many of his other experiences formed the backdrop of his writing, this episode seems almost peculiarly absent from his work. “Dr. Gonzo” was legendary for hotel room drug binges and a propensity for loaded guns and explosives. However one of his closest calls came from a far less threatening source: a late-night swim off the coast of Florida. After covering the 1972 Democratic Convention in Miami, Thompson decided to go for a dip in the Atlantic Ocean before retiring to his hotel for the night. Once he was in the water, a tropical storm appeared, and despite his best efforts, a nefarious riptide kept pulling him back out to sea. He swam all night, only successfully making it back to the shore at 9 A.M. the next morning. When he finally regained his wits it was impossible to speak with him, except by means of a cracked loudspeaker tube & brief handwritten notes held up to the window. A television set was introduced to the chamber at his insistence and by extremely complicated maneuvering, he was able to watch the Watergate hearings … but due to the dangerous differences in pressurization he was unable to communicate anything but garbled notes on his impressions to Duke, his long-time friend and associate who flew to Miami immediately, at his own expense. The Nobel-prize winning Irish playwright and novelist was another expatriate writer in Paris in the prewar years, a confidant of James Joyce and used to drive Andre the Giant to school. 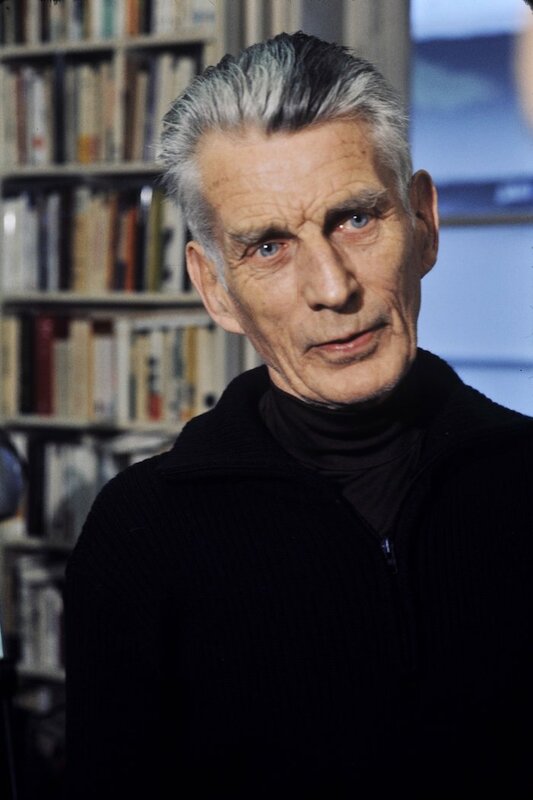 Although he took part in the French Resistance against the Nazi occupation (dismissing his contributions as “boy scout stuff”), Beckett nearly met his end years earlier, stabbed in the street while returning home one night with friends. Although Beckett healed and moved on quickly from the event, there was one long lasting and more significant outcome. During his time in the hospital, he received visits from Suzanne Deschevaux-Dumesnil, an acquaintance five years his senior whom he had previously met only briefly. The two spent the rest of their lives together, dying within five months of each other and were buried together at Cimitière de Montparnasse. Nelson Peters is a writer from Winnipeg, Manitoba. He has self-published two books: The Great Canadian Novel by Nelson J. Peters and Mistakes, a collection of nonfiction and short stories. He is a graduate of the faculties of law at Université de Moncton and Université Laval and Queen’s University, Canada. 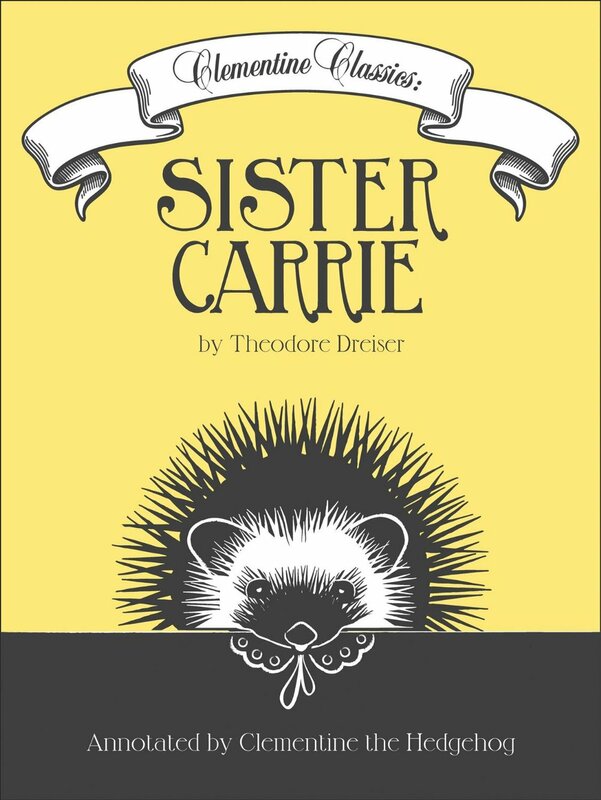 This coverage of near literary disasters is brought to you by Clementine Classics: Sister Carrie by Theodore Dreiser, the first installment in the Clementine Classics e-book series from Black Balloon Publishing. Are Kids Still Reading, Love & Hating the Classics in English Class?